Transcription of the three inscriptions on Crackaig snuff mull. 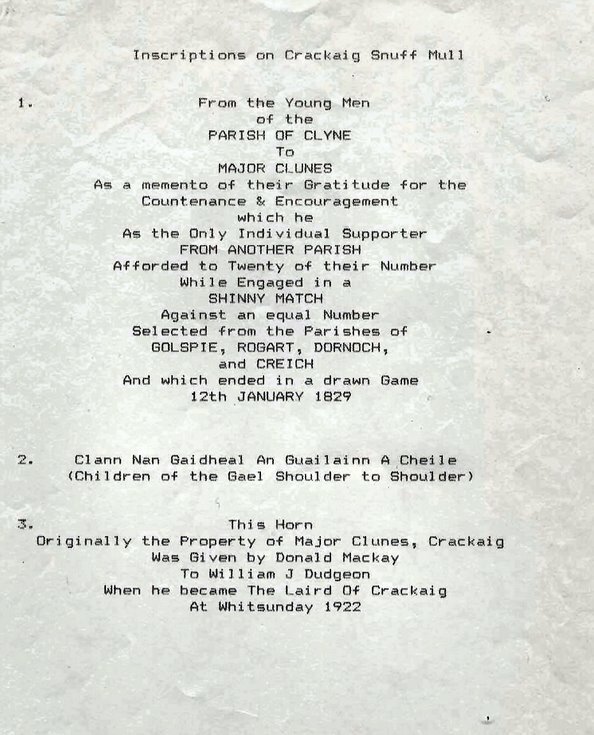 Refers to shinty between Clyne, Golspie, Rogart, Dornoch and Creich in 1829. In Jimmy Bell's writing with note of Crackaig tenants on the back. I would love to see the note of Crakaig tenants as my Reid ancestors were at Crakaig at this time.